The E2 Treaty Investor visa allows the investor to live and work in the US to direct and develop the business. In larger businesses management and executive level employees may be sent to the US instead of the owners of the business. 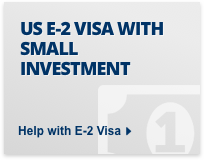 Employees that are also nationals of the same E2 visa Country as the investor may also qualify for an E2 visa. 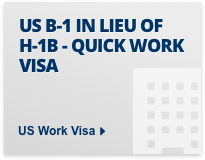 Unlike the H1B visa category, there is no quota for E2 visas. The investment necessary to qualify for E2 Treaty Investor status varies and there is no set minimum. For consultancy businesses, for example software businesses, this could be tens of thousands of dollars or less in some cases. However, for smaller investments to register the business as an E2 business can be more difficult. When you apply for E2 registration of a business you need to be in the process of investing money. You do not necessarily have to invest all the money required to set up the business before applying. You should however have realistic plans to establish and fund the business. Usually, the qualifying E2 visa business should eventually create employment for US citizens and residents of the US. 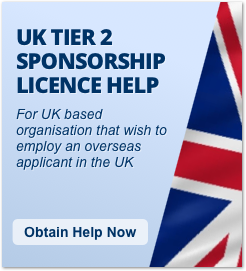 Nationals of many Countries can apply under the E2 visa scheme. Unfortunately, nationals of India and China cannot apply under the E2 visa scheme unless they wish to gain entry as a spouse of an E2 visa holder. The investment used to qualify for an E2 visa must be in an active and operating business that requires people to work in the business. Therefore businesses that do not require any employees which could include passive investments in say property or stocks and bonds do not qualify. Usually at least part of the investment should have been made before applying for E2 Treaty Investor Registration and E2 visa status. If you are buying an existing business it may be possible to apply for E2 registration based on a purchase agreement with the investment only going ahead if the visa is granted. The business needs to be registered as an E2 Treaty investor business before you can apply for an E2 visa. For investors who do not wish to invest at least $500,000 under the EB5 immigrant investor Green Card Program the E2 treaty investor visa category (or possibly the L1 visa) is worth considering. You will usually need to create employment in the US under the E2 treaty investor scheme, but unlike the EB5 immigrant investor visa scheme you do not need to create employment for a minimum of ten people and there is no visa quota. Please note that new businesses based on ownership by nationals of Ecuador can no longer be registered under the E2 visa scheme. However, Ecuador nationals can still apply for E2 visas as employees of an existing E2 registered business. Investors from qualifying countries may apply for an E2 treaty investor visa in order to 'Direct and Develop' their business. 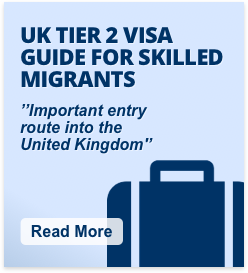 They may also apply for E2 visas for key managerial and specialist employees which can be particularly useful for medium and large size businesses. In contrast to the L-1 visa, there is no requirement that such employees have worked for the business outside the US for a set period of time, and there is no requirement that under the E2 visa scheme that the business continues operating outside the US. There has been and/or will be a substantial investment in the US. There is no specific cash threshold defined. Some businesses, for example in the IT sector, may qualify with investments of about $10,000. Investments could include travel, sales and marketing, equipment purchases and a range of other expenses. However, E2 visa registration with smaller levels of investment can be more difficult. Risk Capital has been Committed to the E2 Treaty Investor business: the investment must entail some risk to the investor (it may not be all in the form of unguaranteed credit). 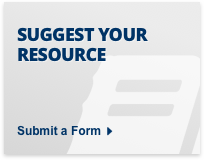 You will probably need to have an office lease agreement in the US. 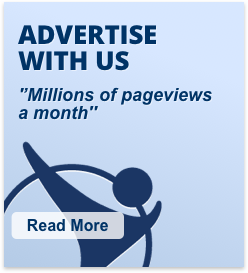 This may be less relevant if you have a purchase agreement and are taking over an existing business. The investor will control his/her investment. E2 visa treaty investors of the same nationality will usually need to have at least a fifty percent ownership of the US business. The enterprise is (or will be) active. In order to be 'Directing and Developing' their investment, the E2 Treaty Investor should be involved in managing the business. The E2 business should not be considered to be "marginal". US workers are (or will be) employed. The treaties envisage more than just creating a job for the principal investor, but there is no requirement to employ a particular number of US citizens or residents. It should be possible to meet the requirements by employing only a small number of employees. Showing that you will employ two or three employees in the next one or two years will often be enough. You should have a business plan detailing the future plans for a new business. This should have detailed information on the new business and the plans to employ new staff in the US. Details of the skills, qualifications, and work history should be provided for any prospective employees of the E2 Treaty Investor, and if appropriate for the investor themselves. That the principal investor, and any other E2 visa staff, must be able and willing to leave the US upon termination of their E2 visa status, since the E2 is a non-immigrant visa category. However, the E2 Treaty investor visa can continue to be extended indefinitely. After registration as an E2 Treaty Investor business, visas can be obtained for principal applicants (if they are a person rather than a company), employees and dependants in about two weeks. 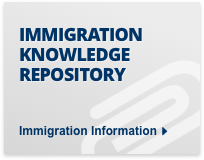 You provide us with relevant information and we prepare and submit the application to the Treaty Visa section. Once the principal applicant has obtained registration as an E2 Treaty Investor they can obtain E2 visas for qualifying employees who are the same nationality as the investor. 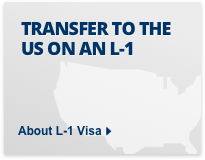 Obtaining the E2 registration usually takes 4 to 6 weeks, and obtaining E2 employee visas usually takes about two weeks. Executives and Managers should be in a senior position and manage the whole business or a key part of the business. In larger businesses the owners of the business may not actually in practice spend much time in the USA. 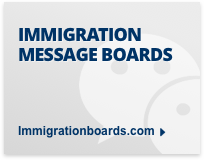 Such personnel should be able to demonstrate their executive or managerial pedigree, though there is no requirement that they have worked for the principal trader or investor for at least one year in the last three years, as there is with the L-1 visa. Documents required for the application would likely include job description, resume, and supporting letter from the employer. 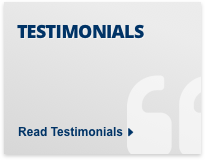 The employee has specialized knowledge of the business which may be difficult to find in the US. The employee is necessary for the running of the principal trader or investor's business in the USA. Note that, a 'visa issuance fee' is often required in addition to the usual visa application fee for E visas. This usually amounts to $160. Spouses and dependents of E2 visa workers are can also apply for E2 visas, and will normally be granted the same period of stay as the principal E2 visa holder. E2 spouses and dependents do not need to be the same nationality as the principle applicant. Spouses are allowed to work. 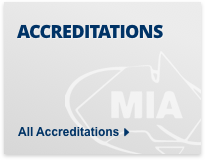 However, it is probably advisable to apply for work authorisation. Children under the age of 21 can study but unfortunately are not allowed to work under the E2 Treaty Investor visa category. 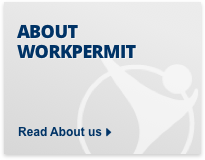 Workpermit.com's team of specialists has over 25 years of experience in immigration services, and have helped thousands of people to study and work in the US and other Countries. All applications for US visas are dealt with by an in-house US qualified lawyer who is also typically a member of the American Immigration Lawyers Association (AILA).